Marcy Goldstein-Gelb was named co-executive director of National COSH in 2016. She served from 1999 to 2016 as executive director of the Massachusetts Coalition for Occupational Safety and Health (MassCOSH). 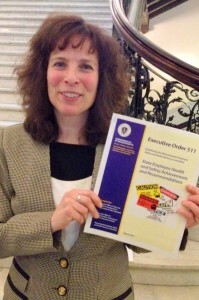 During her years at MassCOSH, Goldstein-Gelb helped establish the organization as a leading statewide voice for worker safety, leading campaigns to win new laws and regulations to ban hazardous workplace chemicals, win new protections for temporary workers, and improve safety standards for public employees. 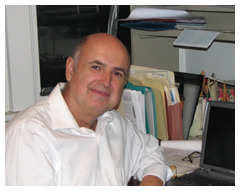 In 2005, Goldstein-Gelb was recognized by the American Public Health Association (APHA) with its Lorin Kerr Award, which honors outstanding efforts to improve the lives of workers. In 2009, she was recognized by National COSH with its Tony Mazzocchi Award, named for the legendary union health and safety pioneer who helped spearhead passage of the federal Occupational Safety and Health Act in 1970. Marcy holds a Masters in Community Economic Development from Southern New Hampshire University, with a special focus on program development and community-based education. Jessica E. Martinez was named co-executive director of the National Council for Occupational Safety and Health in 2016. She previously served as acting executive director and deputy director. A native of Los Angeles, CA, Ms. Martinez has over 14 years of social justice endeavors with a special emphasis on public health and worker rights throughout the United States, Venezuela, and Brazil. At National COSH, she contributes her many skills to organizational and leadership development, education and training, program planning and implementation, and network development. She served as Program Coordinator for the UCLA Labor Occupational Safety and Health (LOSH) Program and Coordinator for the Southern California Coalition for Occupational Safety and Health (SoCalCOSH) committing herself to the promotion and advocacy of safety and health within the labor movement with a special focus on immigrant and young worker populations. 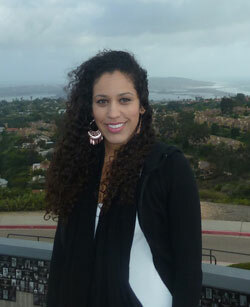 Ms. Martinez also has worked as a labor organizer for dynamic organizing campaigns in California and Illinois and has a research background in investigating effective outreach, prevention, and intervention methods for improving lifestyle quality correlated to public health for vulnerable and underserved populations. She has been awarded the Peace and Social Justice Award by the Southern California Institute for Popular Education (IDEPSCA) and the Lorin Kerr Activist Award by the OHS Section of the American Public Health Association (APHA). She holds a B.A. in International Development Studies from UCLA and a Master of Public Health from the University of Illinois, Chicago School of Public Health. Peter Dooley (MS, CIH, CSP) is a safety and health project consultant for National COSH and President of LaborSafe. He worked for the UAW International Union coordinating educational programs for more than 20 years. Previously, he worked for Michigan State University in Labor Education. His work specializes in worker education, with an emphasis in participative adult education and innovative programs to educate and motivate workers about improving health and safety in their workplaces. Mr. Dooley has or is currently providing educational services to OSHA, NIOSH, The United Steelworkers Union, National COSH Network and many other organizations and institutions. Mr. Dooley consulted in the meatpacking industry while consulting with UFCW International Union where worker trainings and workplace assessments where performed. Peter currently serves as a member of the NACOSH advisory board to federal OSHA as well as holding positions in USMWF [United Support and Memorial for Workplace Fatalities] and APHA [American Public Health Association]. Roger Kerson is the Communications Consultant for the National Council for Occupational Safety and Health. A veteran labor communicator, he has coordinated media efforts for organizing, bargaining and legislative campaigns for the United Auto Workers, the United Mine Workers, the Metropolitan Council of Newspaper Unions, the American Postal Workers Union, the Transport Workers Union and others. Working with the National Wildlife Federation, the Natural Resources Defense Council and other environmental organizations, he has helped communicate the jobs-creating potential of advanced vehicle manufacturing, producing online videos which have drawn thousands of hits on YouTube. His essays, articles and reviews have appeared in the Chicago Reader, the Columbia Journalism Review, Eclectablog.com, In These Times, the Washington Monthly and other publications.